Lorraine Marie Burmaster, age 89, of Orlando, Florida passed away on Sunday, March 31, 2019 in Orlando, FL. Lorraine was born on August 19, 1929 in Pittsburgh, PA; the only child of the late Elmer and Mary Stragand. She worked as an accountant before retiring early to be a homemaker. 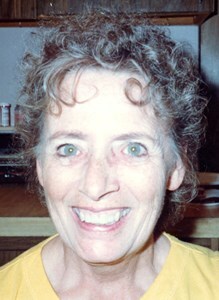 Lorraine is survived by her son, Michael Burmaster, and his wife, Mary; two daughters, Karen Ann Letts and Beth Roach; six grandchildren, John Letts, Tommy Letts, Brianne, Lisa Beasley, Amber Roach, and Kayla Burmaster; and three great-grandchildren, Solomon Peck, Naomi Peck, and Sadie Roach. Graveside funeral services will be held on Friday, April 5, 2019 at 1:30 pm at Glen Haven Memorial Park, 2300 Temple Drive, Winter Park, Florida 32807. To share your memories of Lorraine or leave a special condolence message for her family, please click the Share Memories button above. Add your memories to the guest book of Lorraine Burmaster. Lorraine also had 7 great grandchildren and 1 great grandchild by marriage. They are Vincent, Desiray, Kaylei, Rylei, Christopher, Dominic, Sorrenity, Phoenix. She will be missed.